What VoIP Hardware is Compatible with My VoIP Service Provider? There are so many VoIP service providers available on the market. Choosing the right VoIP hardware that works best with your provider is just as important as choosing the right VoIP service. 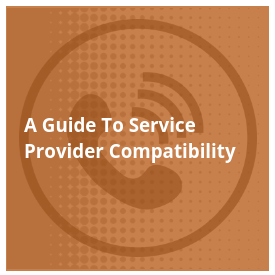 This educational guide to VoIP service provider compatibility covers our top brands of VoIP phones and networking equipment including Grandstream, Sangoma, Cisco, Polycom, Yealink, and more. Download now to find your ideal, compatible VoIP hardware! View compatible options of VoIP Phones, VoIP Gateways, ATAs, and more.